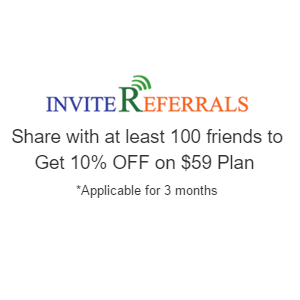 InviteReferrals sends coupon to the referrer over email for driving a referral sale. What is Customer Referral Program? Your customer likes your product and invites his friends to check out the same. 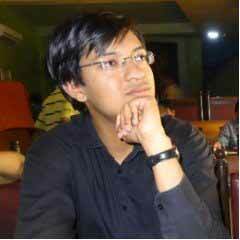 His friends accept the invitation and you get new site visitors. InviteReferrals software track at every step of the program, from shares to clicks to successful referral conversions (registrations, sales, or mobile application installs). 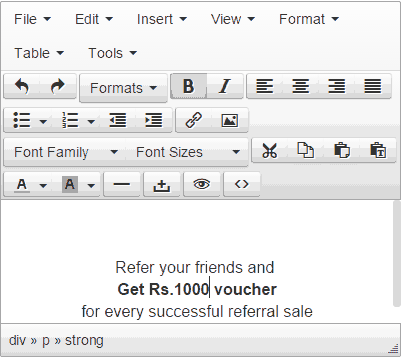 Referrer gets rewarded for multiple events like sharing or getting registrations, sales or mobile application installs. 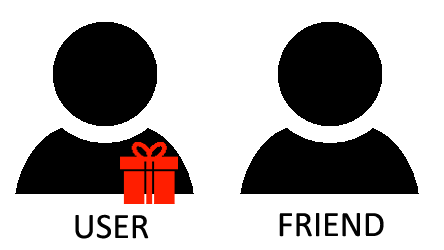 You can also do two way gratification, that is, reward both referrer and friend on successful conversion. 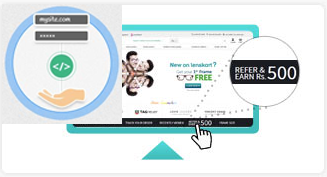 Giveaway campaign : Invite friends through customer referral program to unlock the referral discount coupon instantly. This will create social buzz and drive new referral traffic to your product. Top Referrer Contest : Identify most influential referrers who give maximum referral sales, site visitors or registrations and reward them at the end of customer referral program. Example – top 3 referrers get $100 worth prizes. 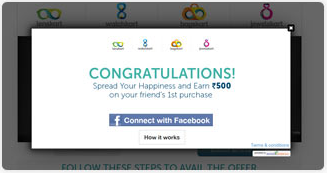 Goal based customer referral program : Reward customers for every referral conversion. Conversion could be a sale, registration, or mobile application install. Example, Get $20 coupon for every referral sale. Automated referral tracking, email notifications including enrollment and rewards. 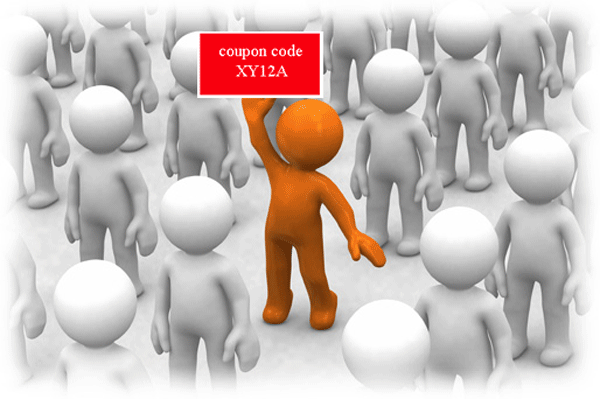 Easily manage coupon codes. 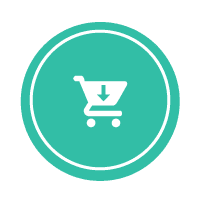 Filter and search through purchases, referrals and referrers. 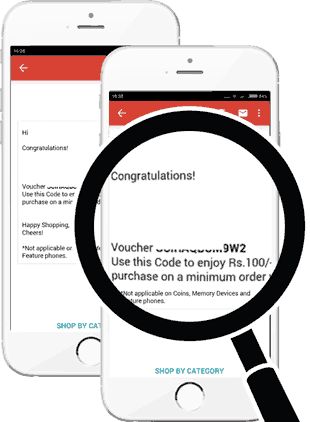 Reward referrers for multiple events like sharing or getting registrations, sales and mobile application installs. We allow two way gratification, that is, reward both referrers and their friends. 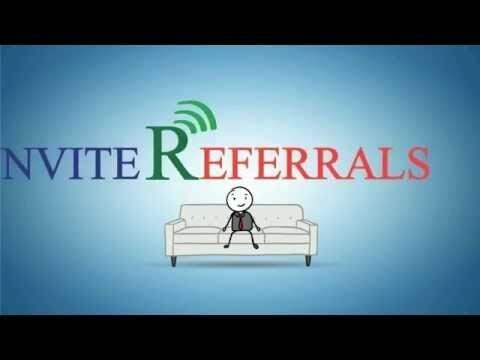 InviteReferrals works across all devices and platforms. 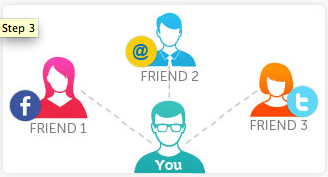 Referral Program Widgets automatically adapt themselves according to the platform. 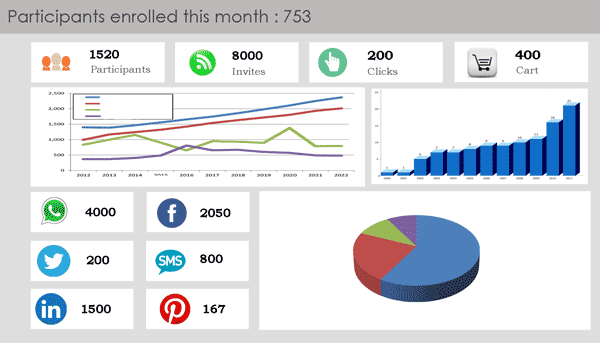 Get detailed customer referral program analytics including invites filtered by referral channels. We track at every step of the program, from shares to clicks to successful referral conversions (registrations, sales, mobile application installs). Get daily / weekly program updates. 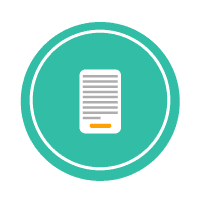 The ‘What You See Is What You Get’ editor empowers you to design the complete campaign from refer a friend widget to all the emailers without the help of a designer or a coder. 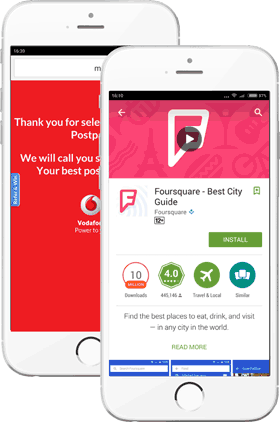 Reward referrers for multiple events like sharing or getting registrations, sales and mobile application installs. 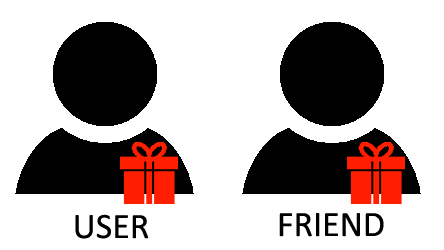 We also allow two way gratification to reward both referrer and friend. Select between unique/static coupons, or any other form of gratification like offline shipment. Automate or manually approve each referral conversion. 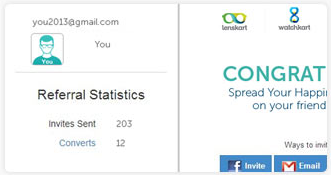 All referral campaign data can be exported. Export referrer emails, and invites. Push referrer data into mailchimp or sendgrid. Activate daily/weekly statistics over mail. Your customers get a variety of referral options to share the word about your business with their friends. 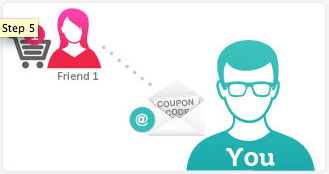 Apart from link based tracking we also provide personalized coupon based tracking. You just need to upload unique cupons in InviteReferrals admin panel and we will handle everything. 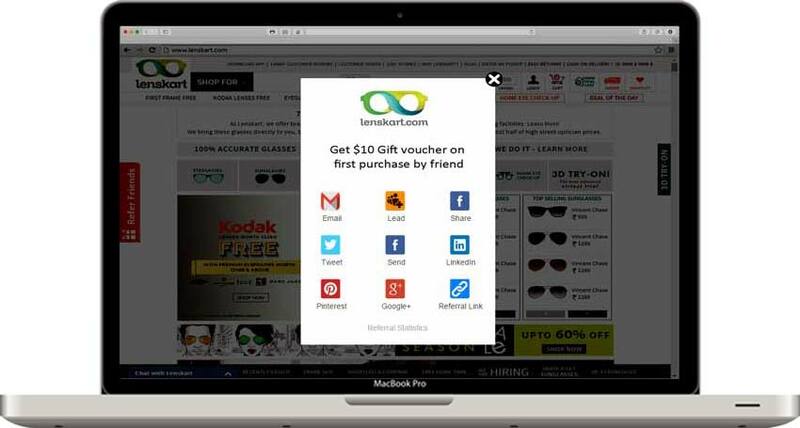 InviteReferrals automatically assigns one coupon to an individual referrer which he can then share with his friends. 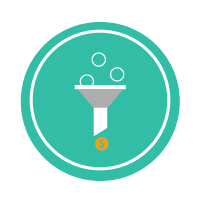 When friends make purchase through that unique code, we track the referral sale and reward the referrers automatically. 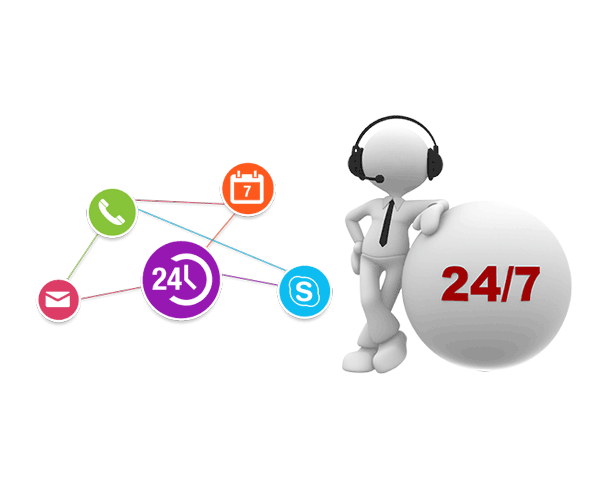 InviteReferrals provide quick support. We try our best to help you design your referral campaign and run it successfully. Great support. The team helped us design referral strategy to increase browser plugin and mobile application downloads. Referral fraud prevention mechanisms are built right into your referral campaign. It includes spam proof notification system, identification of suspicious referrers or manual conversion review among many other mechanisms. 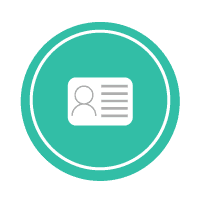 We understand that there will be multiple people managing the referral program in your organization and they might have specific tasks to perform. 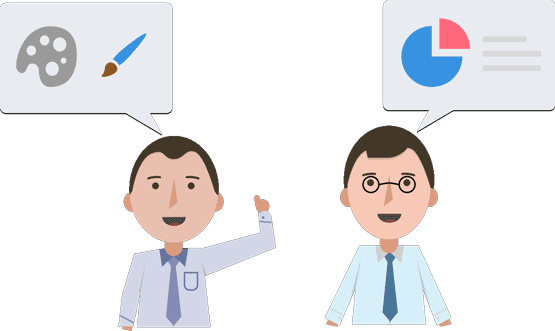 You can invite colleagues and give them access to specific segments. Built for marketers. No code changes required after one time integration. 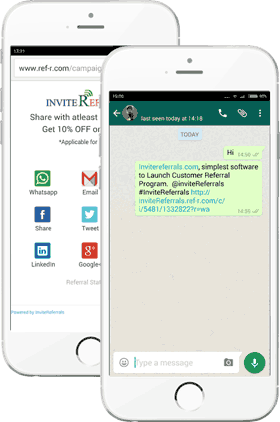 Edit campaigns, launch new campaigns, or set url specific rules to display referral program from inviteReferrals admin panel itself. Run different types of referral campaigns like Goal based referral program, Giveaway or Top referrer contests. 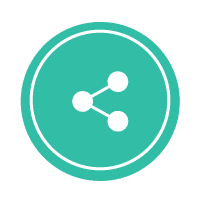 Identify and reward most influential referrers based on filters like invites sent, referral site visits or referral sales. Track data at individual customer level. Customer referral campaign views are fully customizable to match the look and feel of your brand.